Entire Store - Over 200 Bikes - Up To 50% OFF! We have free parking in the back alley. It's time for everything to go. Check out our updated sale prices, all 2018 bicycles are marked down between 15 and 50% off, including electric bikes! At Bikes For All we take pride in helping you find exactly the right bike at the right price. 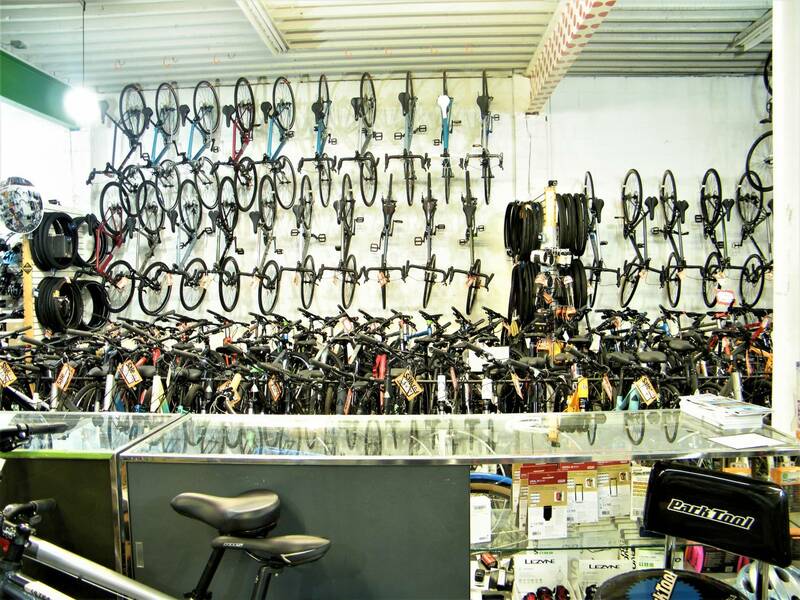 Whether you're looking to buy a new or used bike our shop is your answer, with over 4000 square ft of shop space we offer some of the largest selection in Vancouver. We are a full-service bike shop in Vancouver and our experienced mechanics can work on any brand of bicycle, bring your bike in and we'll give you a free estimate on repairs. Basic tune ups starts at $60. We offer a complementary bike while yours is being repaired. For those looking for some help going the distance, or if you wish to save time on your long commute, e-bikes make cycling more inclusive! We carry several brands, just come in for a test ride and see what a difference that assist can make. We are proud to offer many of the most popular brands of bicycle accessories in our shop. We pay special attention to accessory selection. Visit us at the store and we'll be happy to show you the best buys for your budget. Accessories are priced very competitively and the selection is great! Donating a bike is a great way of helping out the community and promoting sustainability. Bikes can be recycled, refurbished and distributed back into the community or used for teaching. Donations of bikes can make a great difference to the community's organizations, individuals and the environment. Conveniently located in Vancouver, Mount Pleasant, our shop allows you to easily access the most popular bike routes around Vancouver. High end road and mountain bikes are also available at higher rates.Rates are set for a 24 hour day rental so you have the choice to return it the same day before we close or keep the bike until the following day. Helmet, lock and lights are included in all rental costs. Highlight your bestsellers, products on sale, or anything you just want to move pronto! Be sure to add your featured products to your home page.